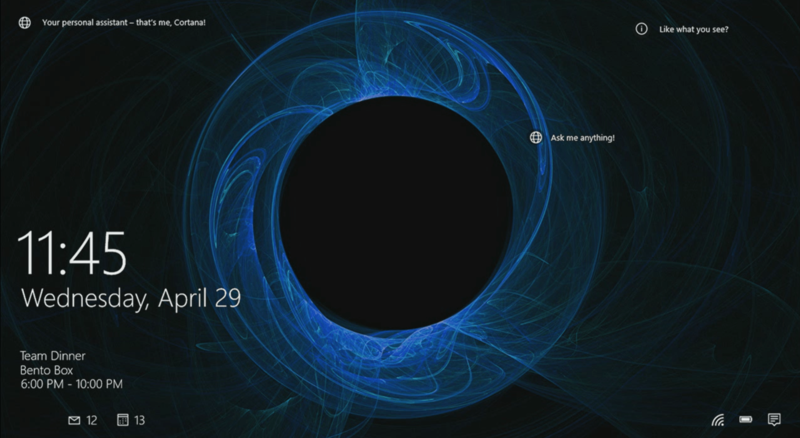 Joe Belfiore Corporate Vice President, Operating Systems Group during his demo at build 2015 mentioned a new idea in works on the lock screen called the Windows Spotlight feature. Windows Spotlight gives you beautiful lock screens which delivers a service driven personalized stream of information on your lock screen. It is interactive and has a like what you see feature at the upper right corner called hot spot. The Windows Spotlight service will learn what’s interesting to you and give you more of that kind of images. It is also able to understand a users use of the pc and makes relevant suggestions and recommendations for users to discover, learn, engage as well as preview applications. This feature is optional you can turn it on or off and just use your favorite family picture.